ATALIAN will exhibit at the 15th edition of the Europropre Multiservice Expo. 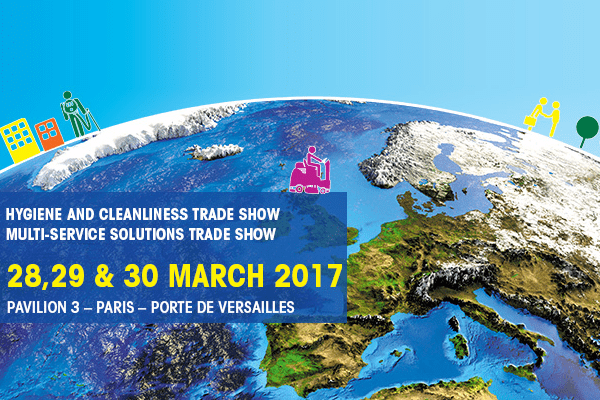 The event, which will take place on the 28th, 29th and 30th of March 2017 at the Exhibition Park at Porte de Versailles, France, is a reference for professionals from the cleaning industry. The objective of the salon is to present the products, materials, solutions and innovations of the hygiene, cleaning and multi-service industries. It will be an opportunity for ATALIAN to present its offer to a maximum of actors coming from all types of sectors: distributors, procurers, final users and local authorities. ATALIAN looks forward to meeting you at stand E45 for this pivotal event of the cleaning sector. Download your access badge now on the Europropre website.